Boasting impressive and stylish accommodation throughout, this gorgeous two bedroom ground floor flat is presented in fantstic condition throughout with a superb contemporary décor and off-street parking. 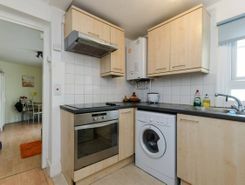 This spacious and recently refurbished two bedroom apartment within a sought-after block with lift and porter is presented in excellent condition and features a bright breakfast room. 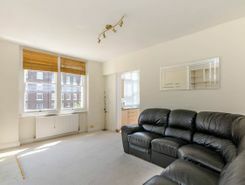 Ideally located moments from Fulham Road, New King?s Road and Bishop?s Park, this superb two bedroom flat features bright accommodation within a portered apartment block. Boasting spacious and flexible accommodation, this fantastic four bedroom lower ground floor flat is located in a lovely mansion block and offers four double bedrooms, modern fitted kitchen, private garden and garage. This beautiful three bedroom property has been recently refurbished throughout and offers excellent open-plan accommodation with views over Bishop?s Park. 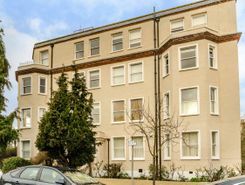 This bright and spacious 3 bedroom first floor Apartment presented in beautiful condition throughout features superb reception room leading to a charming Balcony and a fully fitted eat-in kitchen. 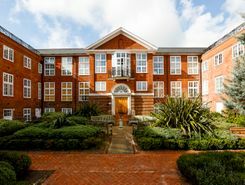 Situated moments from the amenities of New King?s Road and Parsons Green, this modern one bedroom property is well presented throughout. Benefiting from wonderful views from the rear of the property, this fantastic four bedroom end-of-terrace house is arranged over five floors, offering spacious accommodation, south-facing garden and off-street parking. TheHouseShop.com is the leading property marketplace in Putney in Greater London and has been helping landlords, tenants, sellers and buyers to save money when buying, selling, letting and renting property online. Property marketplace, TheHouseShop.com, showcases property listings from private landlords, private sellers, high street agents, online agents and developers – meaning that tenants and buyers can find a unique selection of property from both professionals and homeowners. Homeowners can choose how they want to sell their property and can list with a traditional agent, online-only agent or sell their property privately with TheHouseShop. Homeowners in Putney in Greater London can save thousands of pounds by selling their own home on TheHouseShop.com. Private house sales are popular with Putney in Greater London homeowners who have been using the internet to sell property online for many years now. Homeowners using TheHouseShop to sell their property privately can book a free professional property valuation from a qualified local expert to help them ensure that they have priced their property in line with current Putney in Greater London house prices. Private sellers and landlords can generate more interest from buyers and renters by using TheHouseShop's marketing boost options. Thanks to TheHouseShop, homeowners in Putney in Greater London can save time and money by advertising their properties to thousands of motivated users on the UK's leading property marketplace. If you are a homeowner looking to sell or let a property in Putney in Greater London, then TheHouseShop are here to help! 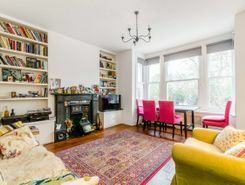 Estate agents in Putney in Greater London can also use TheHouseShop to advertise their listings free of charge and reach a new audience of buyers and tenants. 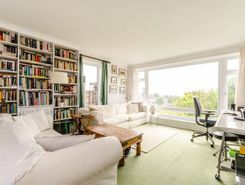 TheHouseShop's unique mix of properties in Putney in Greater London have attracted huge numbers of home hunters looking to buy houses, flats, apartments, bungalows, penthouses, family homes and more. TheHouseShop is the only property website to display property listings from professionals and individuals, so you won't find their Putney in Greater London properties on websites like RightMove and Zoopla which only show estate agent listings. So don't miss out on the home of your dreams and make sure that you visit TheHouseShop.com and sign up for property alerts to keep up to date with the latest new listings. 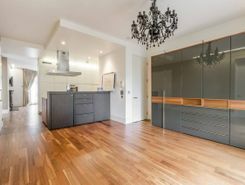 There are a large number of estate agents in Putney in Greater London and sellers can use TheHouseShop to compare Putney in Greater London estate agents and find the perfect fit for their property. Millions of home hunters come to TheHouseShop.com each and every month looking for property for sale in Putney in Greater London and the surrounding areas. People looking for wheelchair accessible and adapted homes for sale can use TheHouseShop's accessible property section to find disabled-access homes in Putney in Greater London. 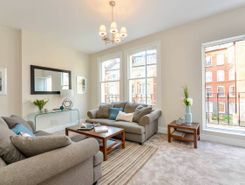 TheHouseShop showcases accessible properties and new homes for sale from some of the foremost property developers in Putney in Greater London. Home hunters will find a wide selection of cheap homes for sale on TheHouseShop website. 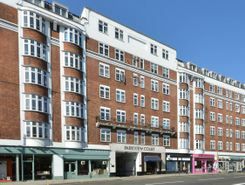 Buyers will find a variety of Shared Ownership properties in Putney in Greater London, with a selection of cheap houses and new homes for sale. Want to find out how much a property is worth? Buyers can use TheHouseShop's free online valuation tool to get an estimated house price for any property in Putney in Greater London. Whether you want to buy, sell, rent or let property in Putney in Greater London, TheHouseShop is your one stop shop for all your property needs.